Groups of 10+ receive a discount. Call 1-855-484-1991 or email Premier Productions. We are very excited to see you tonight at PNC Arena for the Casting Crowns Only Jesus Tour. As we continue to monitor the weather, first and foremost in our mind is your safety. The show will take place as scheduled. 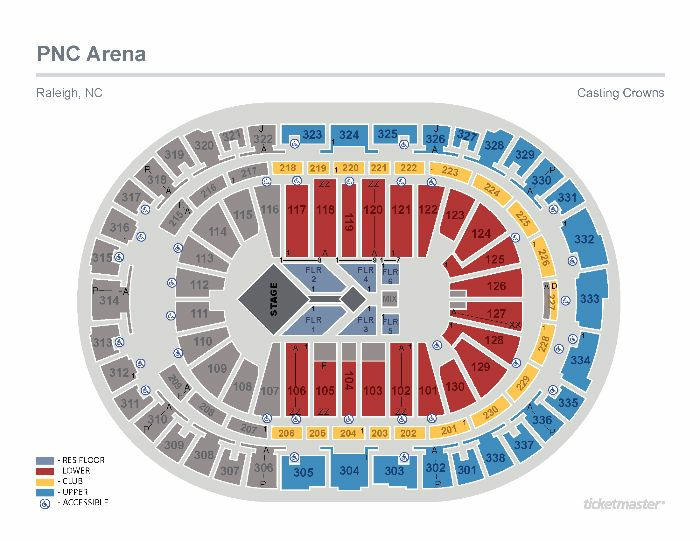 Any changes or updates will be posted via PNC Arena's Twitter (@PNCArena) and ThePNCArena.com. We are preparing for you to have a great night with us and we will adjust the show start time as necessary based on state and national alerts. If you purchased a Casting Crowns VIP Experience ticket please watch for an email from CID with updated check-in information.